Boxfusion Co-Founder Andy Stevens talks AI, machine autonomy and chatbots in his latest blog exploring key takeaways from Oracle OpenWorld 2017. This year saw Luis and I make the now annual trip to Oracle OpenWorld in San Francisco and it was as interesting, hectic and exciting as ever! This post is my summary of the week’s high level themes and the key takeaways that I return to London with this year. Tradition dictates that the conference all starts in earnest with Larry’s keynote early on Sunday evening but this year, for Boxfusion the conference was well underway long before this with Partner Advisory Board and Customer Advisory Board invitations to keep. 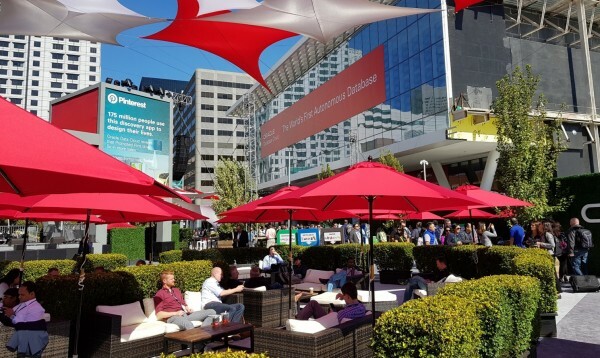 Those day long sessions, along with the Partner Network keynote gave the initial previews into the week’s themes even before Larry got up on stage at Moscone North! Certainly the highlight of those Sunday sessions for me was to see the Boxfusion logo “up in lights” at the worldwide launch of Oracle’s Cloud Excellence Implementer program! We posted about this new program and its importance to Boxfusion, Oracle and there customers here, but it is testament to a lot of hard work from a lot of people within our company that we received this recognition and that made it a very proud moment. Across Sunday’s sessions, the central theme of this year’s conference started to become clear – Artificial Intelligence and machine autonomy. Developing this theme, Larry focused most of his session on the new Oracle 18c database which will be the world’s first autonomous (or “self-driving”) database. This has extremely wide-ranging appeal and implications due to the stature and proliferation of Oracle’s industry leading database technology; Larry explained that the autonomous database and accompanying removal of human intervention in running the database would mean huge cost savings for Oracle database customers, along with enhanced security for customers both by removing humans (“robots make less mistakes than humans”) and ensuring that security vulnerability patches are automatically applied immediately that they are available – there were many references to the recent news about Equifax’s data breach in the US. 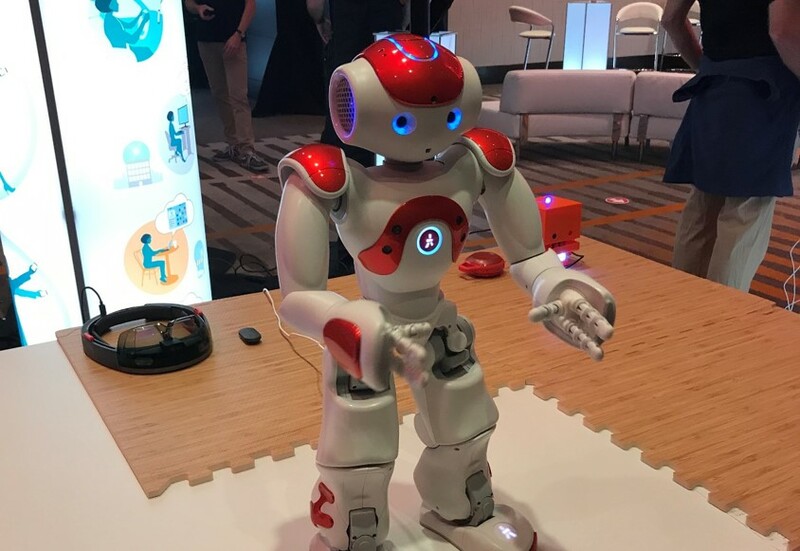 These themes of artificial intelligence permeated through the week and into the CRM and Customer Experience meetings and sessions that Luis and I were attending; the intelligent chatbot platform was to the fore, with use cases across sales, marketing and service scenarios. There were also a number of roadmap sessions and impressive demonstrations of the adaptive intelligence components, using Oracle’s machine learning platform to surface up exciting new functionality and features across the CRM and CX application suite. Beyond the core themes around Oracle Cloud’s outstanding security credentials (with cyber attacks and data breaches increasing continuously this is surely now the most important consideration when making technology buying decisions?) and artificial intelligence progression, the other key technology takeaway for me when considering the CX application suite was the relative stability we now see (no new acquisitions in two years now I think?!) and the focus that has brought towards a consistent user experience across the suite. Luis and I were both fortunate enough to be invited to test drive, and give our inputs to the upcoming CX releases enabling us to see the exciting evolution of the already accredited user interface but Luis was also able to sit down to chat with Jeremy Ashley (Head of User Experience at Oracle!) and glean great insights about the product directions being pursued! Jeremy talked about his vision of “discretionary time” as our single most important resource. The current direction for Sales Cloud user experience for example (and that of other Fusion-based apps) is to maximise the users’ discretionary time, by making it easier to make informed and timely decisions, from whatever location, using whatever device. Seeing all of this strategic thinking behind Oracle's Cloud product strategy and the way it translates into the upcoming application releases was a very powerful takeaway from OpenWorld for us this year. Andy is the Delivery Director at Boxfusion Consulting. Andy spent the first part of his career working with Oracle databases before starting on Siebel CRM implementation projects in 2001. Since co-founding Boxfusion in 2010, Andy has had responsibility for the oversight of client project delivery and success across Boxfusion's Siebel and CX Cloud projects.